We are manufacturing Platters and more Decorative and Gifting items in fine hand carving work with fine Oxidized Silver and Gold Finishing. 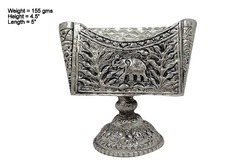 We make White Metal and Gold Plated handicrafts items in Oxidized Silver Finish. These are widely used in Occassional Gifting and Wedding Return Gifts. 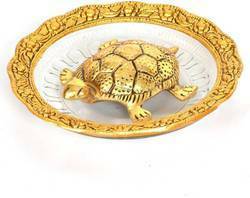 We are manufacturing Gold Plated Tortoise Plate and more Decorative Tablewares in fine hand carving work in Oxidized Silver and Oxidized Gold finishing. We are a prominent firm engaged in providing our customers with an exclusive range of White metal Decorative Bottle Openers in a variety of designs. We have fabricated these utilizing best quality material. 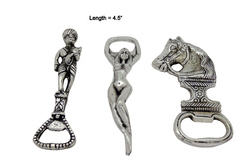 These bottle openers are available with us in a wide variety of designs, innumerable patterns and other specifications. 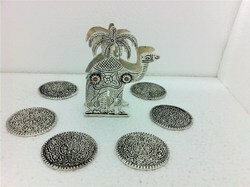 These Bottle Openers offered by us are in perfect silver antique finish that gives them a catchy look. 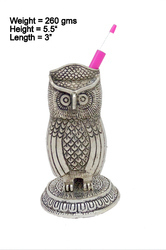 Owl is considered as a vehicle for Lord Laxmi, this owl shape Pen Stand weights 260 gms, height is 5.5", good engraving. Its a casted Piece. People says its good to be kept in homes and offices. 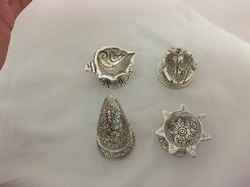 We are manufacturing a range of white metal decorative casting and carving handicraft items, fly shape ash tray is one of them. This item has a utility, while smoking open its cap and use as a ash tray when not in use close the cap and it' will become a show piece . 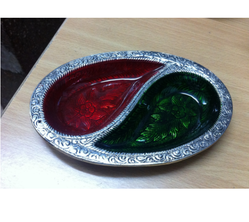 It is mostly used for gifting and decoration. 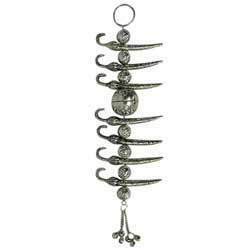 We are manufacturing and exporting a wide array of White Metal Antique Meenakari Hanging. 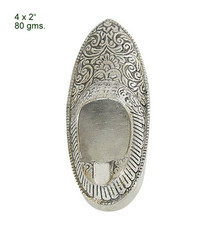 Our offered exclusive range of White Metal Wall Hangings are made up of oxidized and meenakari Work. These are available in numerous designs, colors and pattens. 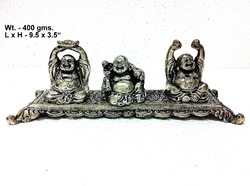 Our range of wall hangings are appreciated for their lusture and durability. 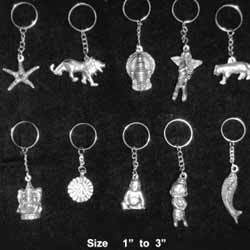 White Metal Key Chains provided by us are well known for their quality and durability. These Key Chains are fabricated by using qualitative raw material. These Key Chains are appreciated in the worldwide market. These Key Chains are offered at the market leading prices. We are manufacturing Visiting Card Holder in 2 Designs and Many more White Metal Products used for Gifting Purpose for Different occasions. Packaging Details: Packing options available on requirement like Bubble Wrap, Corrugated Box, Velvet Box, Potli Bags etc. 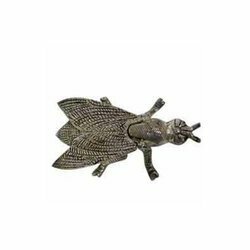 We are engaged in manufacturing and exporting White Metal oxidized Religious and Animal Figures in many shapes and Sizes. 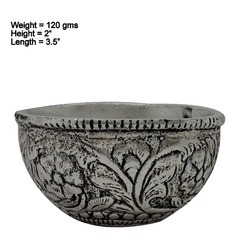 Under this range we offer Silver Plated Oxidized Bowl for Candle and more similar Products as well to our clients. These are available in many sizes and patterns and we offer in Wholesale only to our clients.